Gandhi Jayanti on October 2 is an occasion to remember the ideas of Mahatma Gandhi. New Delhi: The world celebrates Gandhi Jayanthi on October 2 every year. Gandhi Jayanti (the birth anniversary of Mahatma Gandhi) is the occasion, when people come togethor to remember the man who was influential in shaping the modern world with his ideas and struggles. Mahatma Gandhi, as a philosopher of education, was ahead of time. 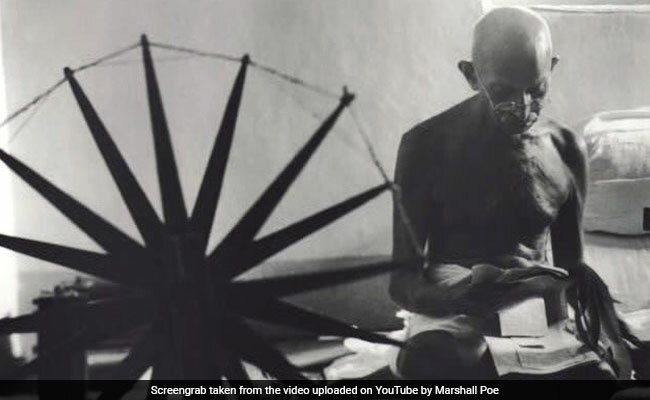 Mahatma Gandhi had talked about everything related to education, from school to primary education to technical education to idea of university to importance of exercise in a students' life. Mahatma Gandhi's ideas have influenced Indian education system in its full strength. In this Gandhi Jayanti, we gathered some of his major thoughts on education. "The school must be an extension of home. There must be concordance between the impressions which a child gathers at home and at school, if the best results are to be obtained". "I would revolutionize college education and relate it to national necessities. There would be degrees for mechanical and other engineers. They would be attached to the different industries which should pay for the training of the graduates they need". "Literacy is not the end of education nor even the beginning. It is only one of the means whereby man and woman can be educated. Literacy in itself is no education. I would therefore begin the child's education by teaching it a useful handicraft and enabling it to produce from the moment it begins its training. Thus every school can be made self-supporting, the condition being that the State takes over the manufacture of these schools". "Then as to primary education, my confirmed opinion is that the commencement of training by teaching the alphabet and reading and writing hampers their intellectual growth. I would not teach them the alphabet till they have had an elementary knowledge of history, geography, mental arithmetic and the art (say) of spinning". "The emphasis laid on the principle of spending every minute of one's life usefully is the best education for citizenship". "In a democratic scheme, money invested in the promotion of learning gives a tenfold return to the people even as a seed sown in good soil returns a luxuriant crop". "Love requires that true education should be easily accessible to all and should be of use to every villager in this daily life". "Experience gained in two schools under my control has taught me that punishment does not purify, if anything, it hardens children". "I hold that true education of the intellect can only come through a proper exercise and training of the bodily organs, e.g., hands, feet, eyes, ears, nose, etc. In other words an intelligent use of the bodily organs in a child provide the best and quickest way of developing his intellect". "There should be a proper background for new universities. They should have feeders in the shape of schools and colleges which will impart instruction through the medium of their respective provincial languages. Then only can there be a proper milieu. University is at the top. A majestic top can only be sustained if there is a sound foundation".